Join in the heart-warming story of a little mouse who helps Santa choose the perfect presents for two very special children on Christmas Eve. It’s Christmas Eve and Jenny and James have written a letter to Santa. 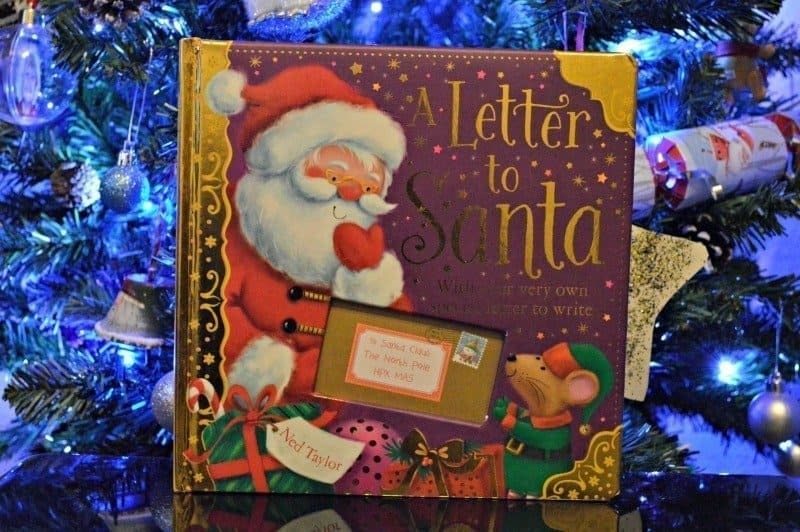 The book includes a lovely envelope which houses a copy of the letter they have left for Santa, with an additional envelope within the front cover so that your little ones can also write a letter to Santa. Jenny and James have left their letter on the mantelpiece ready for Santa, when a mouse comes along and assumes that the envelope is scrap and uses it to make a cosy bed. When Santa arrives he cannot find the envelope and doesn’t know what to leave for Jenny and James. The mouse feels bad for ripping up their letter to Santa and helps Santa by telling them what Jenny and James enjoy doing. Roo and Tigger have recently written their letters to Santa so this was the perfect story to enjoy this evening. Roo was sad to hear that the mouse had taken the envelope and ripped it up to make a cosy bed. Although she was pleased to hear that the mouse managed to redeem himself by helping Santa select new gifts for Jenny and James. Available from Amazon (affiliate link), The Works and all other good book retailers with a £9.99, however currently available for around £2.99. Disclosure: I purchased a copy of A Letter to Santa to include within our Christmas Book Advent.